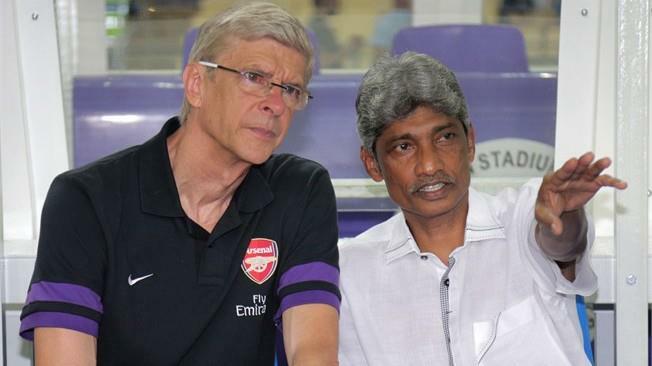 I cannot understand for the life of me what critics, journalists and even senior sports officials want out of national soccer coach Datuk K. Rajagobal. He has been bombarded from all corners of late and every move he makes is being criticised. Rajagobal who was recently hailed as a national hero for transforming Malaysian soccer with some decent performances and achievements, is now public enemy number one to some. Just take the national team's latest training trip Down Under. From the moment the trip was announced, he was criticised for picking Australia as the destination and the teams which the national team were sparring with. Then when the team lost the first match, he was again criticised for losing to a "part-time" team. So since when did part-timers became bad footballers or did all the professional players become professionals without playing as amateurs. Does that mean that Malaysian soccer players who are professionals as good as other professional players in other countries. How come then we are ranked so lowly? Some were said to be embarrassed by the loss. Winning and losing is part of the game. Then when the national team won their second game, not much was said and with the latest loss, the knives are out again. What irks me is that all these people who write and criticise are not qualified people to make comments. They are neither coaches or technical people, have any back ground in team management and I do not even know if some of them have kicked a football in their life. Now everyone is an expert in the game! So who are these people to make judgements and make calls? Do they have hidden agendas, or are instructed by someone who has an agenda to make all these half baked criticisms? Do tell me that they are seriously interested in the performance of the national team and are the ones who can turn the national team into world beaters and bring their ranking below 100 overnight! Seriously, I don't know whether to laugh at some of the calls made in the writings and criticisms, or think that there is an big agenda to get rid of Rajagobal. By all means sack Rajagobal if he does not deliver at the end of his contract, but to be finding fault at every move he makes, is indeed childish and unprofessional. Earlier, it was a statement Rajagobal had ridiculed the foreign players policy in Malaysia and the game itself, and they were hounding him until the FA of Malaysia Disciplinary Board found that he was not at fault. Do these so called wise men of the game know how to prepare a team for a championship? In the run-up coaches want to play weak opponents, medium strength opponents, tough opponents and teams who play different styles so as to get the team exposed to all sorts of situations. In line before the Asian Cup challenge, the national team has matches against Chelsea and Barcelona. Are these matches not enough? 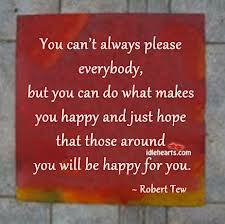 And what is the priority? To win all friendly matches? What about trial and error? Or is it that Rajagobal's name is not Robert or Rahman? What has happened to making local coaches standing out and be equals if not better than foreign coaches? What about the much publicised 1Malaysia in the country? Rajagobal is a Malaysian and let us be proud of that. And let us value his contributions. If at the end of the day, he fails to deliver what he has promised, then he has to go. But stop checking him for every step he makes. Let him do his job. And if there needs to be any observations made on Rajagobal's performance so far, let it come from someone reputable and knowledgeable of the game. 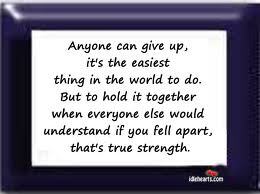 Not fellow coaches, arm chair critics or journalists who have the fainted clue of the technicalities of the game. These views is not about supporting Rajagobal, but made because of the unprofessional atmosphere which is clouding him. Sometimes and more often then not, many critics fail to look at the root of the problem and look for scapegoats. The truth of the matter is that Malaysian soccer generally has a long way to go to even becoming top in Asia is always forgotten and instead dreams of being world beaters overnight is being fantasied by the dreamers. Let us get our system right from the grassroots and work upwards with a realistic goal. There has been some good planning for the current team to have reached where it has now, but much more can be done and on a consistent and long term basis. So let us pinch ourselves to give that realistic check and talk soccer which makes sense and not make a fool out of ourselves. The sport of soccer and hockey has lost a very knowledgeable and valuable man in S. Kathiravale when he passed away yesterday morning at the age of 83. The former teacher who had the rare distinction of being an international soccer referee and hockey umpire has been involved in the games for more than 40 years. He was a rare quality of officials who are hard to come by these days. The ever-friendly Kathiravale was not only knowledgeable in the rules of both soccer and hockey, but he was a great official who hardly got into any controversies because of his style of application of the rules, his approach to the players, many of whom he knew by name, even cracks a joke to diffuse situations and hardly gave room for his decisions to be questioned. His hallmark in the game was the way he blew with a shrieking blast, that anyone passing would recognise the blow and associate to Kathiravale. I had known Kathiravale for about 40 years from my playing days when I had the honour of playing with him as a referee in the local league in the 70s and later become a good friend as a sport journalist. He was my 'guru" to the game as a journalist, for whenever I had a doubt or needed clarification, I would seek his expertise. He always obliged me even at times when I called him late in the night. 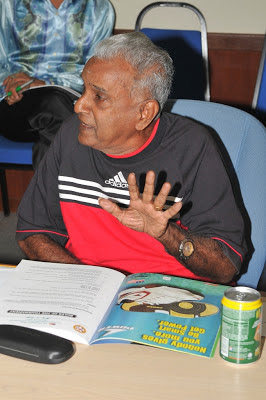 I can remember the countless times I have sat with him in various Stadiums around Malaysia, especially at the Merdeka Stadium during matches when he was the match inspector to pick his brains on decisions of referees and the rules of the game. And Kathiravale was an excellent teacher because he has a joke for about everything he explains which makes it difficult for one to forget what he has imparted. I remember the times when I had laughed at his jokes till tears flowed from my eyes. He was such a lively person and delight to be in his company. Even after having left the Malay Mail in 2006, I still kept in touch with him and even two weeks before he passed away I had called him to ask him about the abandoned FA Cup match between Pahang and Johor Darul Takzim and how I wished present officials could have explained the situation and what needed actions needed to be taken like him. And when I got a message yesterday morning that he had passed away, I was shocked because he did not show any sign of ill health in the conversation with me. He was his jovial self besides being sharp and witty. I also remember when I invited Kathiravale to be the advisor and match commissioner for the inaugural Ex-International Veterans Invitational soccer 9s in 2011 in September in conjunction with the Malaysia Day. He never stopped thanking me for remembering him and still valuing his expertise. He was even more happier that he could meet up with ex-internationals whom he had officiated in matches they played during their heydays. 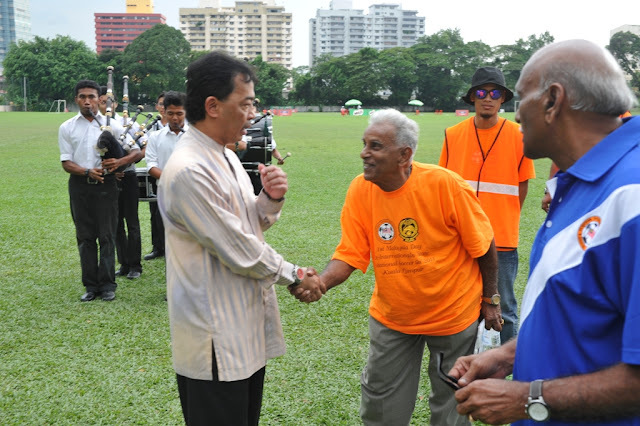 He even met Tengku Mahkota of Pahang who the guest-of-honour for the tournament and exchanged some words. Kathiravale's passing is indeed a great loss to the game and I for one will miss him very much and will find it hard to find a replacement to pick some one's brain on the rules of the game. 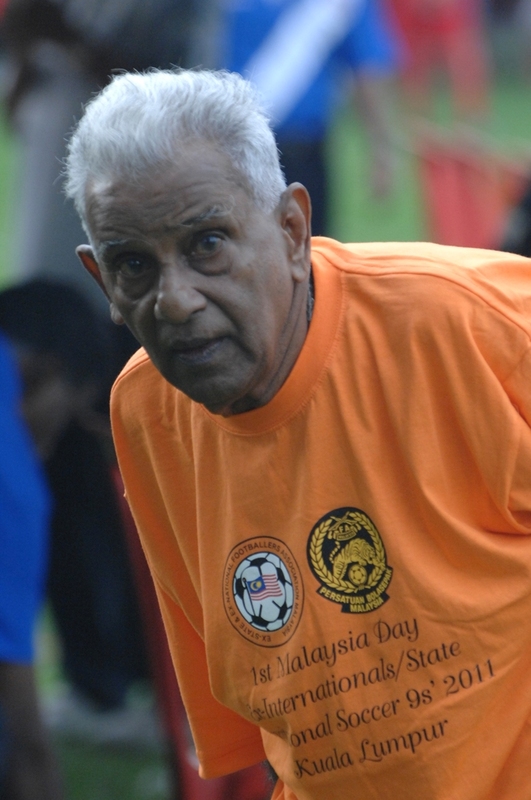 May his soul rest in peace and I am very sure he will be happy to be in the company of his great friends in the game and equals with him as an icon of sport in referees like Singapore's George Suppiah who passed away in December at 83 and Selangor Koh Guan Kit who passed away three years ago. If Kathiravale was alive, he would have joked: "With so many ex-international players and referees passing away, we should be able to host a World Cup up there in the heavens!" That will be Kathiravale for you. He will make one smile even at the saddest news! Was awarded the AFC Distinguished Service Award – Gold Star recipient earlier this year. 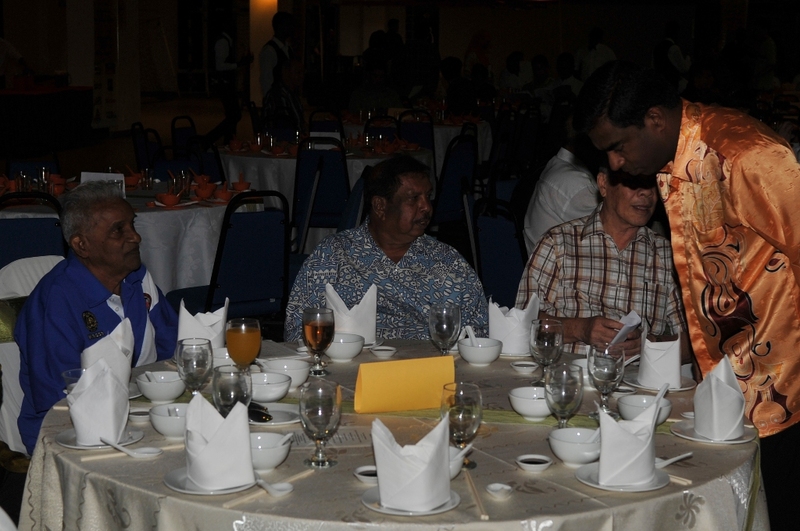 Inducted into the Olympic Council of Malaysia’s Hall of Fame last year. Recipient of the FIFA 100th Year Special Service Award in 2004. FIFA International Referee between 1971 and 1980, AFC International Referee Instructor from 1975 to 2000 (one of the first three AFC instructors) and FIFA International Referee Instructor from 1986 to 2000. At the continental level, Kathiravale officiated the final match between Iran and Korea Republic in the 5th Asian Cup in Bangkok, Thailand in 1972 and the inaugural Women’s Asian Cup final between Thailand and New Zealand in 1975 in Hong Kong. 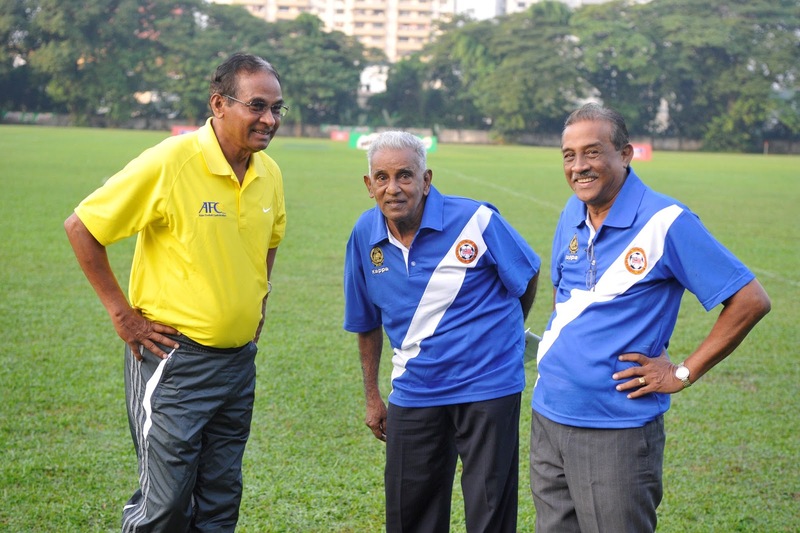 Kathiravale was an official not only in football but also in hockey and is always remembered as perhaps the only Malaysian who officiated in two Asian Games finals in two sports. In 1974, he was the umpire for the India and Pakistan hockey final in the 7th Asian Games in Tehran, Iran. Four years later, in 1978, he was senior linesman in the 8th Asian Games football final between Korea Republic and DPR Korea in Bangkok. He was an international FIH umpire for 11 years - 1968-1979. He was one of the two Malaysian umpires (the other being Datuk G. Vijayanathan) who officiated in the 1975 World Cup in Kuala Lumpur. Kathiravale was also the referee for the Japan-Korea Republic qualification match in Tokyo, Japan for the 1978 FIFA World Cup. He has served not only as an umpire and referee, but also as a technical official, tournament director and instructor. Privatise teams by next year or missing out on M-League. The FA of Malaysia M-League privatisation committee chairman Datuk Hamidin Mohd Amin, who is currently the FA of Malaysia competitions committee chairman and vice-president of FA of Malaysia who had been tasked to restructure the league had this warning to give to all State FAs. His warning came prior to his first official meeting next week to discuss about the privatisation of the League. But really, State FAs have to privatise their teams? Where are the State FAs going to find potential sponsors or people who have the means to manage a soccer team overnight. In any case, has it not been all this while that Malaysian soccer had ruled out club soccer because ours is based on States and this has been the tradition. Just look at the number private clubs who have competed in the M-league and folded because they could not afford in the end, or their CEOs or chairmen's of the corporate team changed and the one officer is no longer interested in spending money on football. The M-League going independent in 2015? Has the M-League not been managed Malaysian Super League (MSL) not too long ago. What happened to it? Now who has the means and expertise to manage the M-League for 2015. What guarantee is that the new body is not going to drag Malaysian soccer further into the doldrums. Can they do better that FA of Malaysia despite some of their shortcomings at times. But the bigger question is the State FAs. Privatising teams is nothing new to Malaysian soccer. Remember Penang managed by Mutiara Antara Sdn Berhad in 1994 when the M-League went fully professional, They folded within two years and leaving huge debts. What about Ringgit Kreative with Kelantan. And fresh on the minds is Rising Sun Travel and Tours Sdn Bhd who came in to manage Kuala Lumpur with a promise of RM 2 million, but last week decided to pull the plug after only pumping in RM500,000 citing that the team is doing badly! Is it going to be any different with more teams expected to privatise their teams. How teams can privatise their teams? Will the teams not getting themselves into more trouble? What will happen to the respective FAs when their teams are privatised? What will be their role or contribution? Youth development? Anyway, how are these privatised teams going to communicate with FA of Malaysia? Through the State FAs? Is that going to work. Or is FA of Malaysian going to change their rules to allow privatised clubs to deal directly with them. 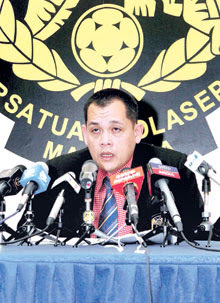 Yes, Hamidin may say that they will deal with the new body which is running the M-League. But is this all not going to be messy! State FAs are suppose to set up private subsidiaries. Is there not enough problems just with the FAs managing the teams as it is. Penang and Malacca, once kingpins of Malaysian soccer this year are playing in the FAM Cup competition - a competition for clubs - after relegation from the Premier League! They get to privatise and play in the M-League? In any case what is Penang and Malacca doing in FAM Cup league. If State FAs like them cannot survive the M-League, what chance will privatised teams have. History have proven that it does not work. Why can't the existing State FA system be improved to become more professional and work with this proven model - based on State classification. After all if teams like Kelantan, Selangor, Johor, Pahang and even Armed Forces have proven that they can manage the team well under the present system with their professional approach, why change? Would it not be better to come up with ideas like asking State FAs to have more corporate leaders and sponsors sit in their Council instead officials who just make up the number, warm the seats and reaps benefits like travelling with the team and collecting bonuses sitting in the Council for ages! How about asking individuals from the respective States or club owners from the State FA who are their affiliates and interested to sit in the Council to bring with them sponsors worth say RM50,000 per year for Council member seats, RM100,000 for vice-president seats, RM500,000 for deputy president post and maybe RM1 million for president's post for starters. This way every member in the Council is accountable for the money they bring in and the team's spending and performance. Of course, above this the Council as a team will still have to work bring in the bigger sponsors. Would it not be a better way to ensure that there is professionalism and accountability in the management of the teams? Certainly better that privatising the teams! Just look at Kuala Lumpur FA of an example how things can go wrong. For all we know, with the privatising of teams, we could just be inviting more "bad hats" to manage our teams and manipulate them to their wills and fancy. Malaysian soccer with such past rich history, certainly does not deserve to be dragged down the dirt road any further. Any major decisions taken, has to be taken by officials who have their heart and soul in the game for all the right and NOT wrong reasons. We need professional decisions and to be based on the history of the game in the country and not just make cosmetic changes just to look pretty from the outside, but stink to high heaven inside! I hope the State FAs themselves stand up for their rights over the game and not just be sold out! For the sake of the game, let us play fair and professional!